Ok, it's true that we love nearly everywhere we visit. The fact is, that there is good to be found in every place if you have enough time to find it. 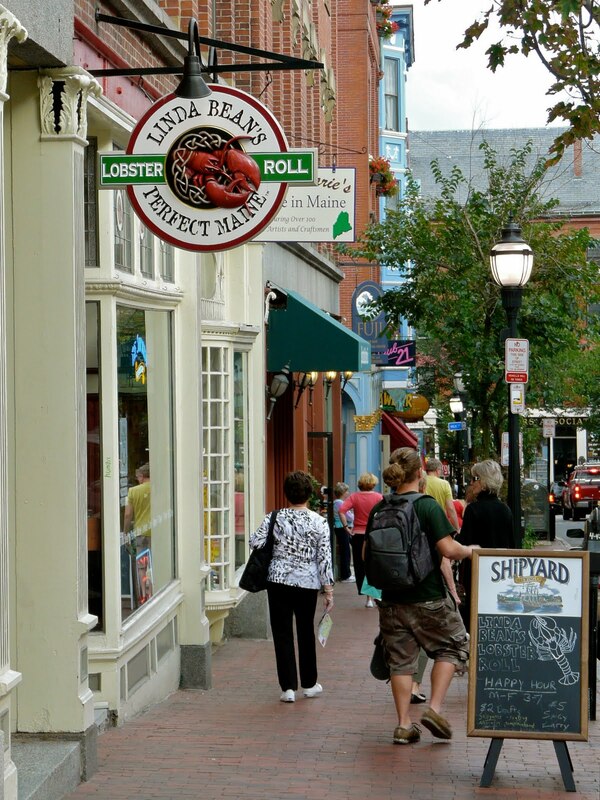 Saying that, we didn't have to look hard to find the good in Portland, Maine. We really enjoyed this coastal city. It has all the great things a progressive city has to offer with the personality of a small, and very bohemian flavoured town. We packed our days and still barely touched on what there is to do around here! Day the first was tough going because we wanted our little one to get a good and proper nap in before heading out on our bikes. It's a little more than complicated for him to catch a nap while cruising along in his little bike seat, so out of kindness to him, and for the sakes of our own sanity later in the day we pushed for that long and proper bed nap which he seemed especially reluctant towards. After a good relax for all three of us, we grabbed our bikes and headed for the door with a good day's plan in our pockets. Unfortunately a heavy downpour was the boss that day. An on-the-spot alternate plan found us driving our butts in to the downtown area, and walking around. We hopped into and out of stores depending on the ever-changing afternoon weather. The Old Port District was a fantastic place to walk about with tons of great shops. Thanks to the blog of Soulemama I had a couple of spots in mind to check out upon reaching Portland, and they did not disappoint. 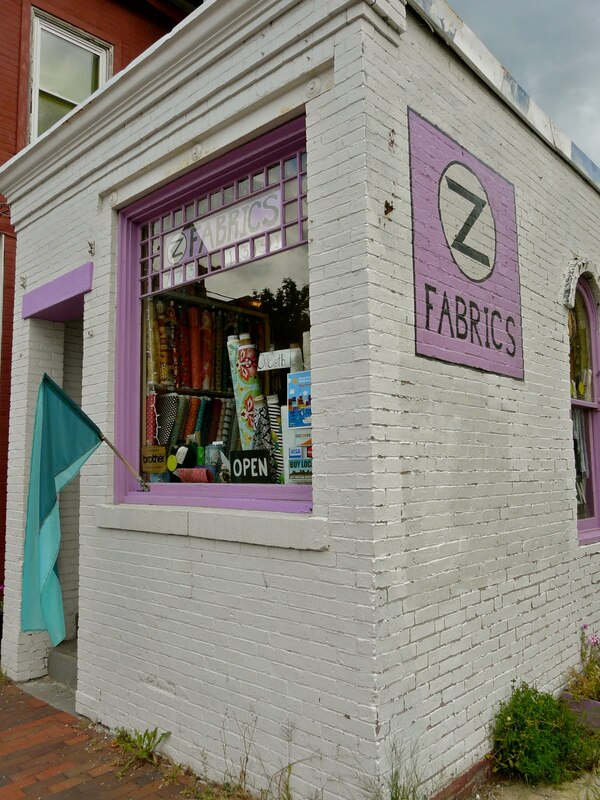 I visited Z Fabrics on our first day, and did not leave empty-handed. I finally found the perfect material for a top I have been wanting to make as well as a couple of other goodies. 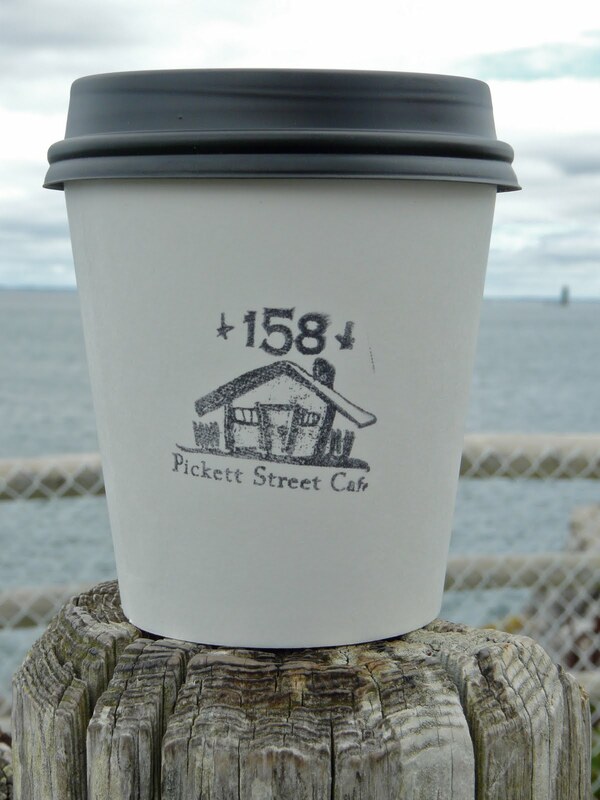 The second day, we stopped at 158 Pickett Street Cafe while exploring South Portland, and ate one of the best bagels, drank some really good coffee, and chilled out amidst the most excellent vibe. Portland is definitely not shy of wicked funky cafe's. Thanks for those great suggestions! After Pickett Street we headed over to the Portland Headlight, and walked a beautiful trail next to it. After the headlight it was a certain someone's nap time, which enabled me to venture out for a little solo time. On yet another tip from Soulemama, I went to seek out the shop KnitWit on Congress Street. I found it, among a number of other super great finds. First I came across the Portland Fibre Studio & Weaving Gallery. I finally bought a spindle to give hand-spinning a try. 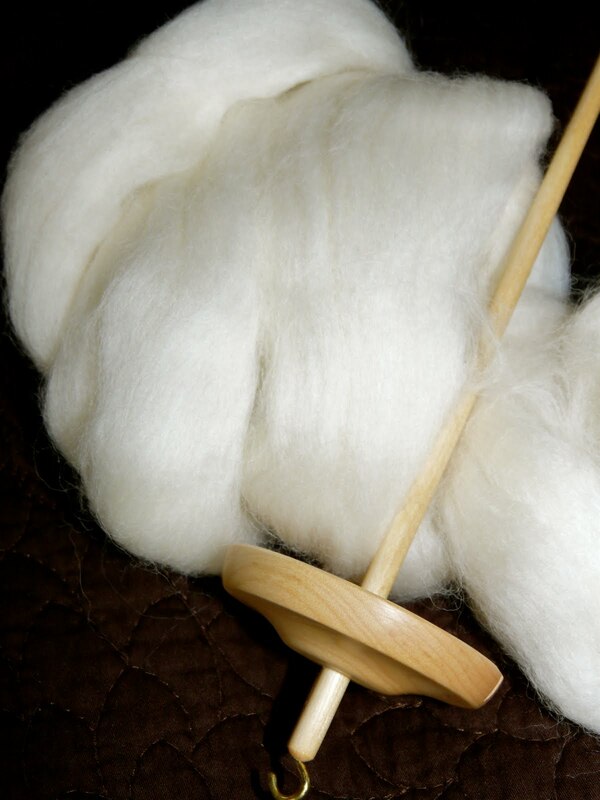 This spindle can be used as a top or bottom whorl, which I definitely wanted to try both. When looking online for one earlier it seemed I had to make a choice between which type I wanted to learn - far too difficult a decision for someone who has no idea about either. I was shown the best type of roving to purchase for a beginner, and I'm sure I'll have no trouble finding information online to get me started. 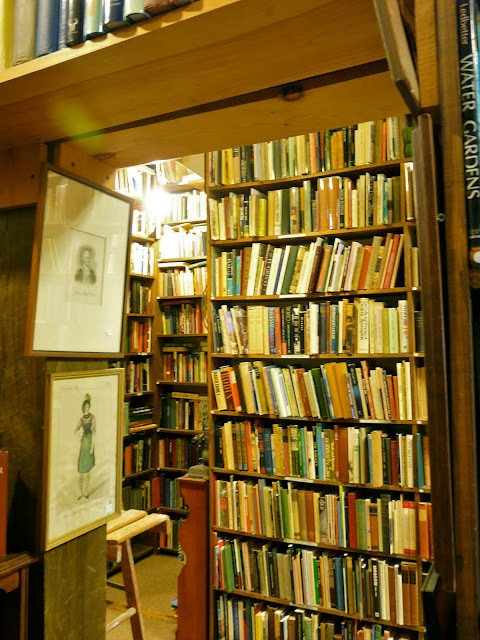 A couple doors down from there I stumbled upon Carlson & Turner, a dreamy little second hand bookshop with shelves floor to ceiling, several ladders, and an antique book scent that couldn't be beat. I'll admit I was trapped in here for quite some time. 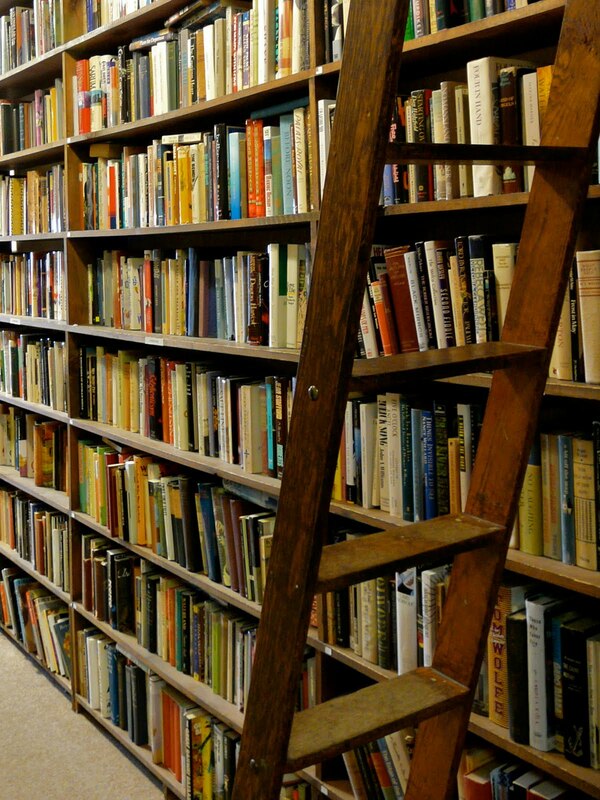 I'm a sucker for books, and an even bigger sucker for old books. Further along Congress Street, a window peep turned me on to the next little treasure of a spot. A wicked vintage clothing shop, with plenty of awesome handmade goodness to top it off. I spoiled myself in Ferdinand with an awesome vintage comb that my dressing table is going to LOVE, and a super cute, best fabric EVER dress, that hopefully I can squeeze a couple good wears in to before my preggy body says no more! I finally found myself back at our hotel, our bub awoke from his crazy long nap, and we joined forces for a late afternoon stroll downtown. Once again, our plans for an awesome bike ride along the Fore River Parkway trail were "dampened" by impending weather. Our plan was to visit the Portland Museum of Art, but first we made a pit stop at Local Sprouts Cooperative Cafe. Yet another fabulous cafe to be found in this great city. This place is worker owned, has such an awesome feel to it, and is a major supporter of local and organic food. The icing on the cake was the children's reading and play area (Miracle! How do other cafes not do this!!). I loved the beautiful mosaics, and artwork spread throughout. It was a place you would find yourself spending a great deal of time should you live near by. Last stop of the day was Whole Foods. I couldn't resist. Portland, Maine must have one of the largest of all the Whole Foods Stores. It is absolutely massive. It may sometimes be rather pricey, but their prepared food is tasty and healthy, they always support their locals, and it is a really fun place to shop. I used to work at one, and I gotta say I REALLY miss my staff discount! When discovering a new place, we find it helps to go armed with a few suggestions (be them sites to see, restaurants to eat at, or shops to browse). We keep as open-minded as possible and a single simple idea often finds us stumbling upon a rare gem or fabulous adventure. If we have no tip to go on, the next best thing is to just pick up our feet, start walking, and see where curiousity and spontaneity lead us (of course not without an address of where we're staying in our pocket, should we lose our way). What a great introduction to Portland for anyone who wants to visit there! We visit Portland often and I have to say, you hit all the best spots!